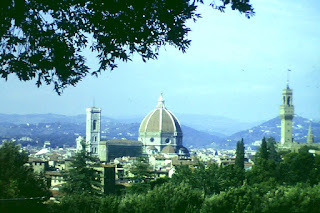 This is a view of the city from across the River Arno. 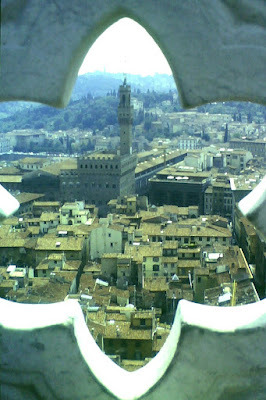 From the left, Giotto's tower, the Duomo and the Palazzo della Signoria. 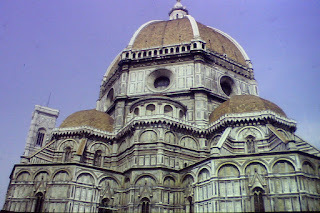 The building of the Duomo (cathedral) was begun at the end of the 13th century. 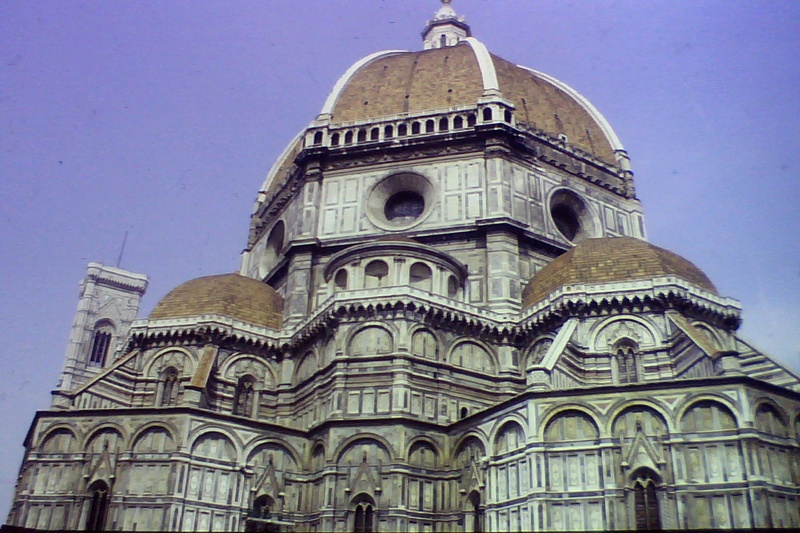 When Brunellechi designed the dome in the 15th century, it was the first dome constructed in western Europe since Roman times. The campanile (bell-tower) was designed by Giotto in the 14th century, and completed by other architects after his death. The baptistery dates from the 11th century, and features the famous bronze doors by Ghiberti. 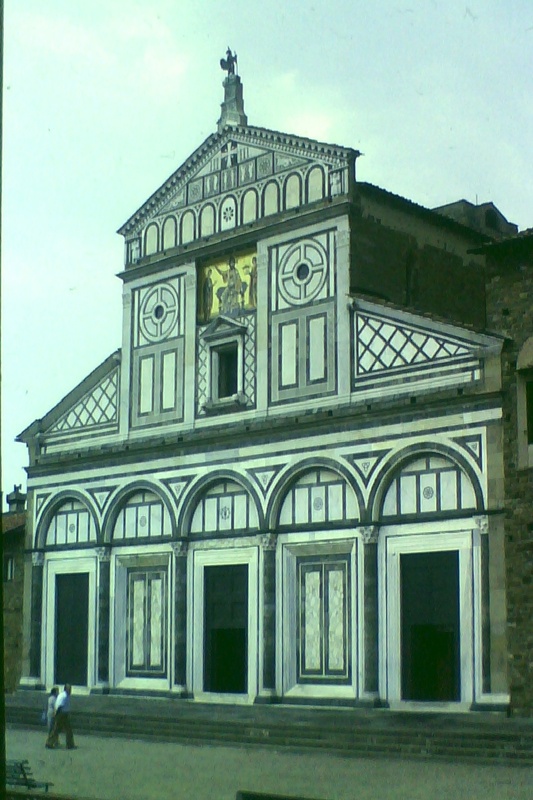 The cupola has mosaics in Byzantine style. 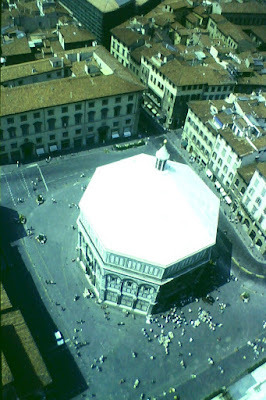 Dante was baptised here. The Palazzo del Popolo, otherwise known as the Palazzo Vecchio. 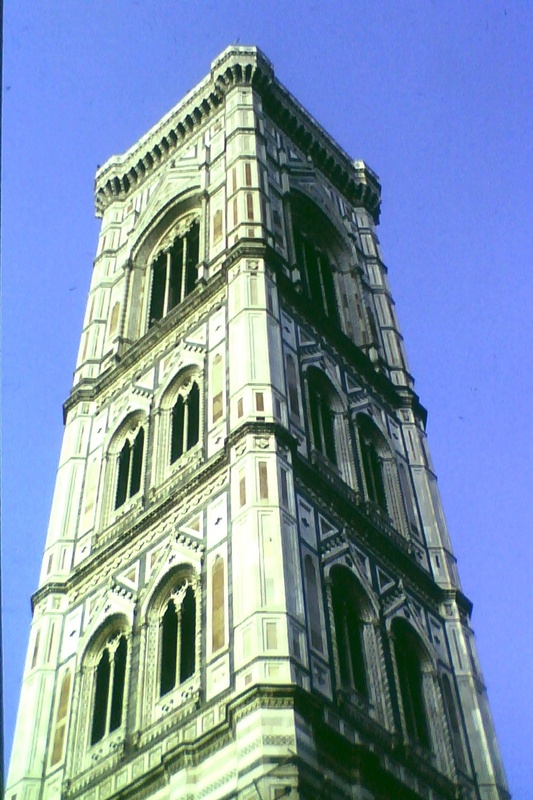 It was built in the early 14th century, with many later additions. 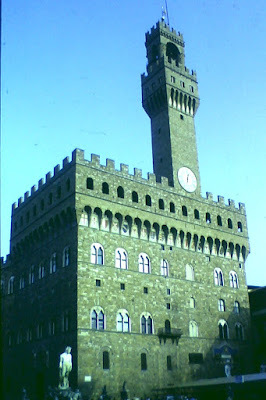 It was once the home of the Medici family. 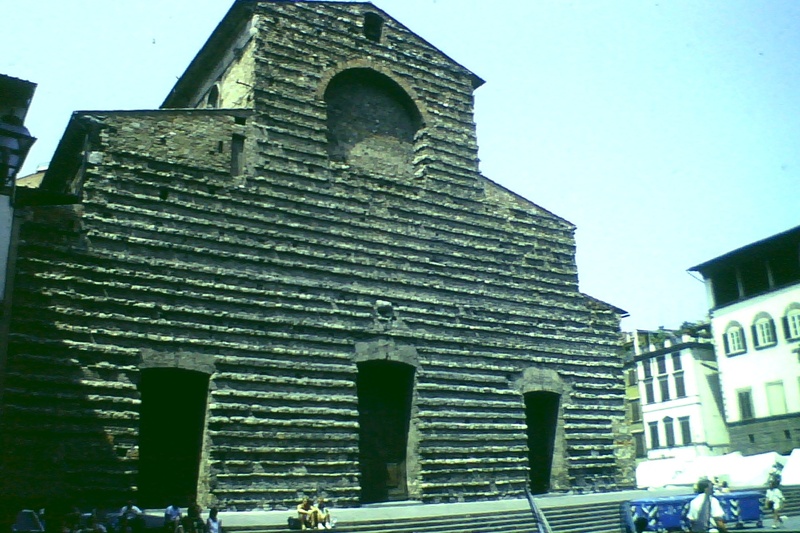 It faces the magnificent Piazza del Popolo. The Uffizi gallery is just round the corner. Do not be put off by the obviously unfinished facade of San Lorenzo! 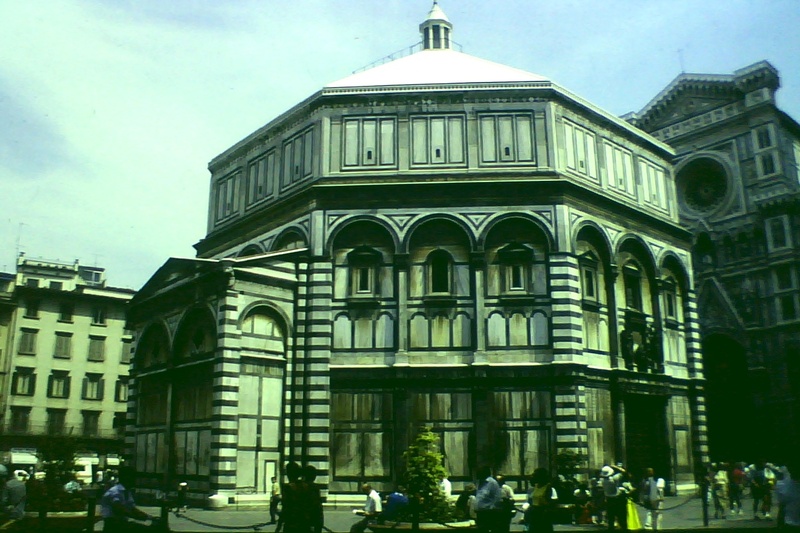 It contains some of Michelangelo's greatest work,including the Laurentian library and the medici tombs. 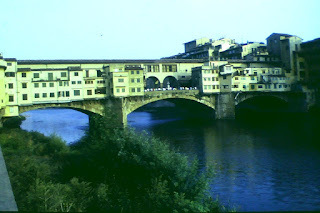 The Ponte Vecchio across the River Arno. 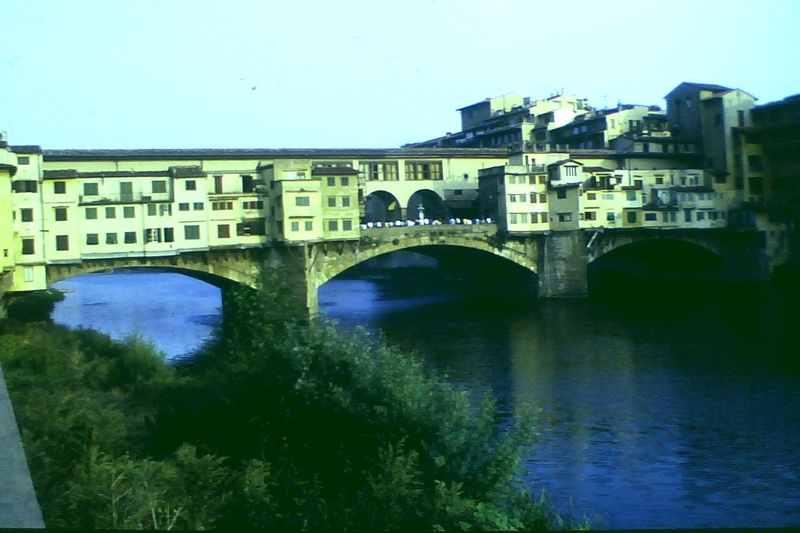 Crossing this bridge will bring you to the Pitti Palace of the Medici. 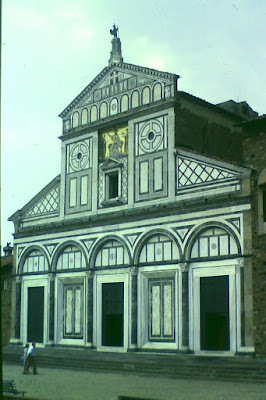 From there, it's well worth climbing the hill to San Miniato al Monte, one of the oldest churches in Florence. Finish at the Piazzale Michelangelo for a panoramic view over the city, which is where we started.